Factors that may have an influence in which shops you consider buying include any hidden fees and running costs, which you may not have taken into account. You will need to consider factors such as business rates, utility bills and upkeep costs, and how theses may impact your budget. Once you have considered these factors, it's time to get your search for a shop for sale in Leicester under way with MOVEHUT. Every commercial property in Leicester comes with a classification that determines its permitted usage. If you're searching for a shop to buy in Leicester, it will help if you know which classification matches your planned usage. Once you've learned the classification code that matches your planned usage, start your search for shop for sale in Leicester with MOVEHUT, and we'll help you get the right result. Regardless of what type of store you're searching for in Leicester, you will discover it at MOVEHUT. 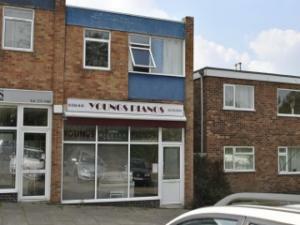 It's possible you're looking for a retail property suitable for use as a shoe shop in Leicester. You could possibly be on the hunt for an Leicester retail commercial property to be used as an electronics shop. MOVEHUT has everything you require to ensure your search for a retail property to buy in Leicester runs as smoothly as possible. You could enjoy significant benefits by buying a traditional shop in Leicester. You can improve the reputation of your business a lot easier with a shop in Leicester and potentially attract a lot more customers than you can online So take the first step towards growing your business here at MOVEHUT, with the range of shops we have on our listings. Arranging insurance is essential when buying a retail commercial property in Leicester. It doesn't matter what type of goods you stock, it's advisable to check that you have sufficient insurance cover. Insurance policies will usually cover damage to windows and signs as well as your stock. Begin your search for a retail commercial property to buy in Leicester with MOVEHUT and don't forget about your insurance. Buying a shop in Leicester is all about finding the right location. Factors to consider include the proximity of the shop to transport links and local amenities. So to find a shop in Leicester in a location that's right for you, check out the great selection available for sale at MOVEHUT.